DAPs Magic has a fantastic team of volunteers that creates the magic that is shared daily with its viewers. This is a team effort that brings together a bunch of different people to help create something special. Currently DAPs Magic has people who write content and cover events for the various areas of the website, film videos, brainstorm ideas, photograph, design logos/images, help with technology, and keep DAPs Magic focused as a part of the DAPs Brain Trust. Each of these jobs are important and each member is valued for their contribution. Please CLICK HERE if you would be interested in joining our team. The founder of DAPs Magic, Mr. DAPs has lead the DAPs Magic team since day one. He writes regularly on both the DAPs Magic Daily News and also for Geeks Corner. He can be seen on camera hosting Geeks Corner and also covering events on the DAPs Magic youtube channel. He has a vast knowledge of Disney, Star Wars, Star Trek, and several other geeky topics in his repertoire. He co-hosts DAPscast- the official podcast of DAPs Magic with Murray the Bellhop. An avid reader, he generally has a computer, iPhone, or iPad around to consume more information with. He also loves to travel globally and compose/arrange/record music. Several of these compositions can be found on the Primordial Penguins website. The magician that keeps things running for DAPs Magic since day one, Merlin continues to be our tech guru for all the behind the scenes coding magic. He also can be found regularly behind a video camera at Disneyland as he films the Disneyland All-American College Band, Candlelight Ceremony, or other events with Mr. DAPs. While mostly behind the scenes of DAPs Magic, his contribution is absolutely essential to keeping DAPs Magic up and operating on a daily basis. He also was the one who pushed Mr. DAPs forward with the idea to create what would become DAPs Magic. Murray the Bellhop writes for both DAPs Magic Daily News and helps produce Geeks Corner. He also can be found doing segments for both of the corresponding YouTube channels where he works both in front of and behind the camera. He often covers the Marvel universe along with random stories from the Walt Disney Company (including Disneyland). Recently, he has become the Knott's Berry Farm correspondent for DAPs Magic. He met Mr. DAPs on Disneyland's birthday and a friendship ensued and eventually a partnership as he became part of the team of DAPs Magic and co-host for DAPscast- the official podcast of DAPs Magic. Cameron Jackson is a nerd, writer, and self-proclaimed, "proletariat" living in Anaheim, CA. Follow his musings and see his adventures on Instagram and Twitter under the name @mr_camjaxn. He is also a regular co-host on Geeks Corner who also has begun to contribute to DAPs Magic's Star Wars coverage. He is a talented entertainer who is a gifted actor and singer. He also is co-anchor for HOGN - the Hog Calling Network. Caitie Bear originally came to DAPs Magic through Geeks Corner. The resident coffee expert, her run with DAPs Magic began with teaching Mr. DAPs and the team how to taste coffee on Geeks Corner. She soon became the resident coffee consultant for special segments before finding herself joining the Geeks Corner team. She now is one of the co-hosts for the webshow and can regularly be found either on the Geeks Corner set or at Disneyland with the DAPs crew. Caitie also now writes for DAPs Magic. She not only covers style for the website, she also covers events and offers Disney tips from her experience as a Disney Annual Passholder. Reader. Writer. Procrastinator. Part time mermaid. Full time Disney obsessor. Disneybounder. I am a die hard geek and have been a moderator (currently a coordinator) for Phoenix Comicon for over six years. When not devoting my life force to cons I can generally be found in front of a videogame or Tumblr. Sometimes both. Ok, often both. Also a host of DAPscast. A true geek at heart, Tyler is an essential part of the DAPs Magic team. He regularly produces Geeks Corner as he makes sure that the geeks look and sound good. Tyler constantly tests new technologies for the website and webshow to keep things as up to date as possible. He also frequently appears as a guest on Geeks Corner and is a resident geek expert on DAPs Magic Reports. When not working on Geeks Corner, he has helped with filming stories in his capacity as a videographer. Caitlyn is a contributor for DAPs Magic that covers events from the perspective of someone who lives in Northern California. She has covered events at the Walt Disney Family Museum and Pixar night at Giants stadium. She regularly visits the Disneyland Resort and shares her photographer skills with DAPs Magic as well. DC Sarah is the Social Media Director for DAPs Magic and has been writing with DAPs Magic and Geeks Corner since 2009. Not only is she a Disney lover, Potterhead, Batman Fangirl, Social Media Junkie, but she is also the resident Foodie, spearheading the Geek Eats section of DAPs Magic News. Amanda had been a long time fan of DAPs Magic when she joined the DAPs Magic Daily News team. Since then, she has written articles on an almost daily basis and offered ideas and feedback for the betterment of DAPs Magic. 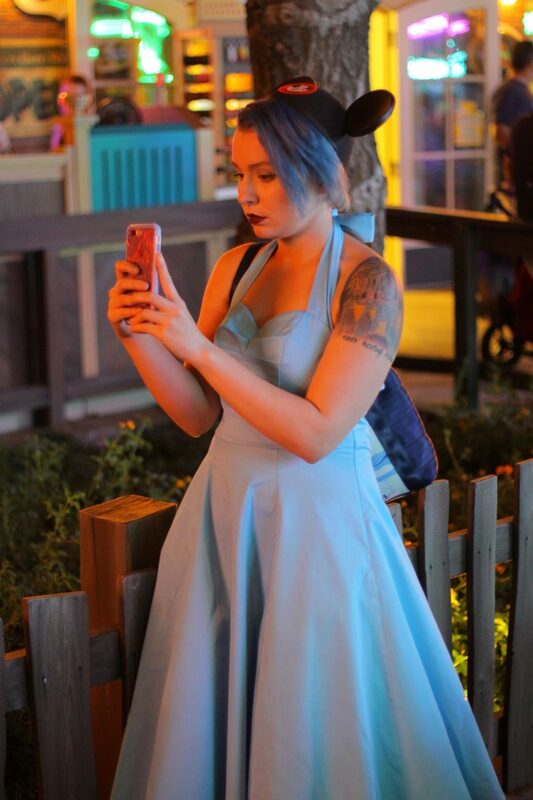 A regular Disneyland attendee, she is constantly gathering information for new stories. Her dedication to quality news for DAPs Magic has raised the already high standards for the news for which she is now the editor of. Amanda reports mostly through writing and her photography but has also occasionally appeared on camera to aid in coverage of events. Annie is DAPs Magic’s resident mermaid… or at least she looks like one. She writes for the DAPs Magic column: Mermaid Lagoon and offers a female geek perspective to the DAPs Magic readers. She also has appeared on Geeks Corner and co-hosts DAPscast. A talented artist, she has offered her skills to help with projects for DAPs Magic and Geeks Corner. Michael aka Mikey Really Likey is DAPs Magic's resident Walt Disney World Videographer. 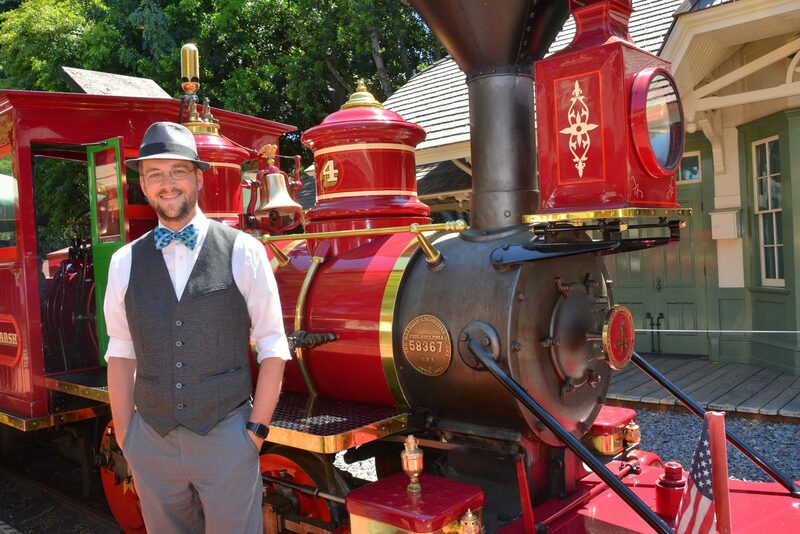 He began his partnership with DAPs Magic by helping cover the 2015 Disney 24 hour day from Walt Disney World. He is an incredibly positive and funny guy and we are honored to have him on our team! Roger Rabbit keeps things running smoothly on Geeks Corner. Behind the scenes, he always is the fact checker. He also contributes regularly as a producer, social media manager, and stage manager. Hayley is a talented photographer, seamstress, designer, and Disney bounder. She also has become a fantastic sounding board for ideas for DAPs Magic, Geeks Corner, and Geeks Corner. She can be found in front of the camera on occasion on Geeks Corner. Kellie is THE Pretty Little Baker. She is a baker and connoisseur of all things sweet. She brings her love of treats to DAPs Magic and shares some of her favorite recipes with Geek Eats. You can also find her appearing on Geeks Corner as she shares her love of desserts and demonstrates how they are made.